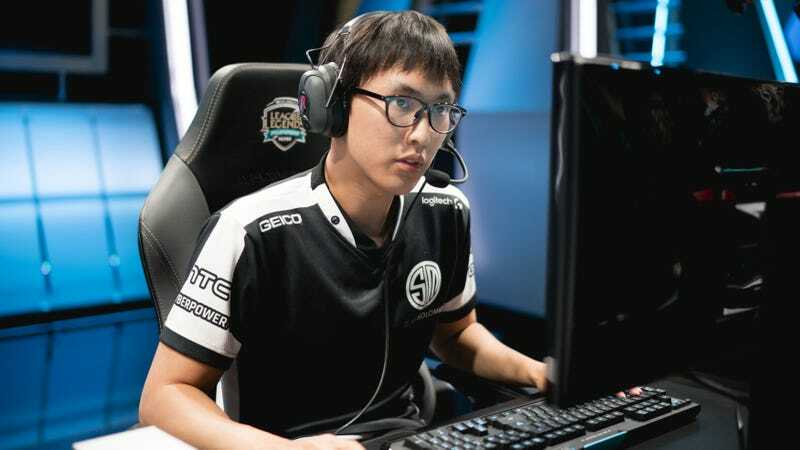 Yiliang “Doublelift” Peng will be playing for Team Liquid for the rest of the League of Legends spring split, after a last-minute trade from Team SoloMid earlier this week. The game’s all-time leader regular season kills, he’ll need to start racking them up in a hurry. The trade mirrors the concept of loaning out players in soccer, though the dollar specifics of the deal were unannounced, and are hazy. Peng will play for Team Liquid for the rest of the split—the League schedule is separated into spring and summer periods, called splits—and then be released to try out for Team SoloMid again for the coming summer split. Liquid sorely needs wins to avoid relegation, and are grasping for a lifeline. They already moved a star marksman to mid in search of wins, and though the move paid dividends in their debut match, Liquid lost their next match to Echo Fox, and still needs help. I reached out to as many ADC’s I could think of, including folks like Imqtpie and dozens of challenger ladder players. We even partnered with Mobalytics to analyze statistics of challenger ADC accounts in NA and Canada. Any available non-import ADC was an option, and you’ve got the very best one sitting on the bench of TSM. We asked TSM if they would be willing to consider doing a deal. Arhancet also tried to dispel some claims of collusion cast by pundits at the deal between TSM and Team Liquid, who play each other in two weeks. Look, TSM didn’t do me any favors. I had to increase our offer multiple times to even get their attention to consider. Riot pre-approved the initial paperwork and then provided final approval on the Doublelift deal before we announced. Today will be Peng’s debut on Liquid, playing against Cloud9, currently tied for first place in the North American LCS. They’ll need every single one of the marksman’s kills to climb out of the hole of last place.